It gives up pleasure in informing you that we NVM Freight Movers (Rly. 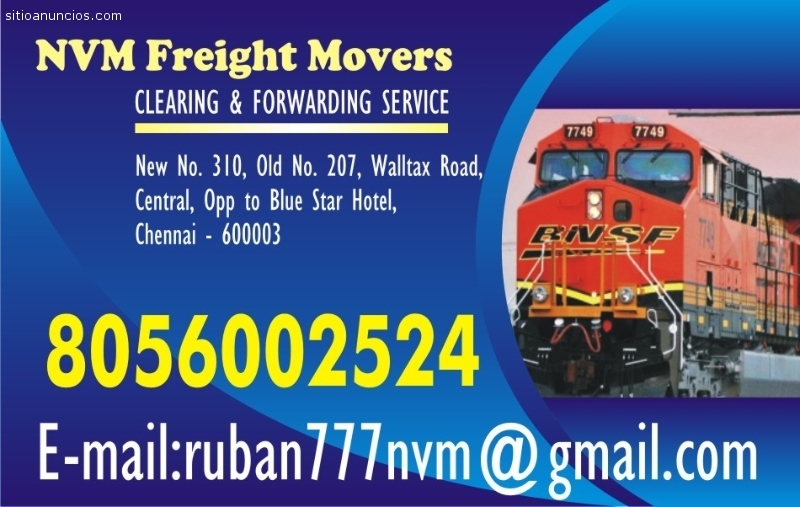 Clearing & Forwarding Service) are one of the leading Clearing Forwarding agents in Chennai Central and Egmore Stations. We are serving since 1979 to manufactures/traders to their national destinations. We undertake all consignments / orders through railways– to door step service which includes pick-up as well as delivery at destination. We lift all parcels the same day contacted which are stored in the respective warehouse by our arrangement. Since we offer prime services at very moderate charges, we are sure that the same will be acceptable to you.